Ireland has an extraordinary connection with the small multi-ethnic island of Mauritius in the Indian Ocean. There are Mauritians here, some permanent residents, many others studying law and medicine. The outgoing prime minister, Dr Navin Ramgoolam, and his minister for foreign affairs, Dr Arvin Boolell, were both students here. These links have their origins in the influence of Irish priests and nuns as educators in Mauritius in the later stages of British rule. The relationship in the other direction has in fact been of much longer standing. The Irish first went to the island when it was known as the Isle de France in the eighteenth century as members of the Wild Geese regiments in French service; later, on the British side, Irish soldiers and sailors were involved in the conquest of the island from France, the most notable being two of the commanders, Colonel Henry Sheehy Keating and Commodore Sir Josias Rowley. After the Napoleonic Wars the British retained the island—‘the star and key of the Indian Ocean’—because of its strategic importance on the sea route to India, and in doing so resuscitated the earlier name given by the original Dutch conqueror, Prince Maurice of Nassau. Significantly, during its time as a British colony in the nineteenth century, Ireland also provided Mauritius’s most important colonial governors. The first Irishman to make a major political impact on Mauritius was Sir Galbraith Lowry Cole (1772–1842). 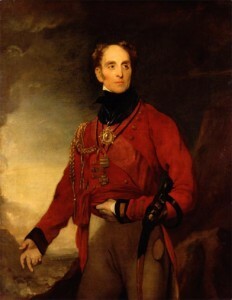 This upper-class Orangeman—the second son of the earl of Enniskillen—helped to suppress the United Irishmen and then fought alongside Wellington in the Peninsular War. Cole’s ability as a commander and the fact that he was not in line to inherit the family title made him a natural candidate for colonial government, and appropriately enough the ex-enemy territories of Mauritius (1823–8) and South Africa (1828–33) beckoned. Cole was the first British governor of Mauritius to combine civil and military powers. Finding themselves ‘playing King and Queen’, as his wife, Lady Frances, remarked on their arrival, the Coles sought to project themselves and their children as a model family for the benighted islanders to emulate. Cole was the first governor to have the aid of an administrative council. Though he disliked this encumbrance, he was able to leave it to negotiate with the Catholic bishop—the Rt Revd Edward Bede Slater, an English Benedictine whom the pope had appointed vicar apostolic of the ‘Cape of Good Hope, Madagascar, Mauritius, and New Holland with the adjacent islands’. Intent on promoting Anglophone Protestant education, he ended up aiding the Royal College, an established French grammar school, with teachers, scholarships and repair money after a cyclone. Whilst on his own official estate Cole provided the premises for the London Missionary Society to give basic instruction to slave children, other slave-owners were unwilling to follow suit, whether under Catholic or Protestant auspices, in spite of available grant money. Indeed, in spite of objectives to the contrary, the governor often found himself furthering the interests of the French Catholic planter class on Mauritius. Cole wanted to encourage the island’s trade and general prosperity. He was able to use the moves under way in the British Empire towards Free Trade to the advantage of Mauritius with the Navigation and Colonial Acts of 1825. The key to this was Cole’s victory over the West Indian lobby in London in having the duties of Mauritian sugar equalised with the imports from the British Caribbean. With duty paid in London reduced by ten shillings per hundredweight, sugar production in Mauritius doubled between 1825 and 1830. This success did not necessarily assist in the wider British objective of dismantling and eradicating slavery. The equalisation may have had a certain undermining effect in the West Indies, but in Mauritius it put slave labour at a premium and facilitated the consolidation of large plantations. Cole felt that the Mauritian slaves were as yet unfit for liberty but he was anxious to ameliorate their conditions. Where earlier British governors had failed to establish a complete registry of slaves, he and his officials achieved the registration of the slave population of Mauritius by the end of 1826, and of its dependencies by the end of 1827. As a result, he reported that there were 69,004 slaves in Mauritius, 6,522 in the Seychelles and 782 on the smaller islands, as against 8,000 whites and 14,000 free coloureds. Knowing which slaves belonged to which plantation-owner was the first step in eliminating the slave trade, and the final act was imposing stronger control in the Seychelles, the main entry point for smuggling. Cole also issued a series of executive orders relating to the work, punishment, rations and clothing of slaves which went too far for the owners in Mauritius but not nearly far enough for anti-slavery activists in Britain. It angered him that these could not be effectively invoked because of the owners’ non-compliance. In spite of these frustrations, Cole subsequently advised London from the Cape to appoint competent loyalists from the local élite where possible over Britons. This was to neutralise remaining pro-French sympathies after witnessing their abuse of Sir Hudson Lowe, the Anglo-Irish gaoler of Napoleon on St Helena, when he passed through the island. By the time of the next influential Irish governor of the island, Sir John Pope Hennessy between 1882 and 1889, Mauritius had been completely transformed. It had a mature but very different plantation economy, which was now the empire’s single largest producer of sugar. Slavery had been abolished in 1835, and the transitional apprenticeship scheme that replaced it was eventually phased out in favour of the longer-lasting indentured labour system. In 1881 the population was a whopping 360,000: a small white élite and the growing coloured middle class and lumpen ex-slaves formed what was called the general population at 110,000, but the rest, the vast majority, were now Indians, derogatorily known as ‘coolies’, who had arrived to grow, harvest and mill sugar cane. Into the bargain, Hennessy (1834–91) was a different type of Irishman from Cole—a middle-class Catholic nationalist. 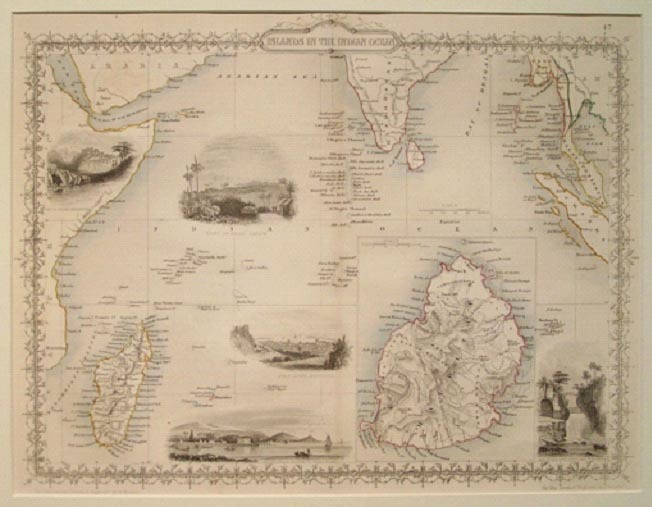 Besides, this was a new age of rapid communications, with steam and telegraphy connecting Mauritius and its government more closely to metropolitan affairs. The son of a Cork butter merchant and an early graduate of Queen’s College, John Pope Hennessy was talent-spotted by Disraeli. In 1859 he became the first Catholic Tory MP for King’s County but lost at the general election of 1865 by six votes. 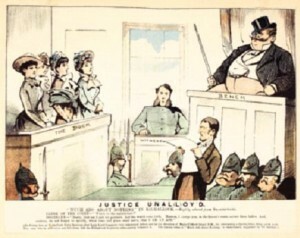 When he failed to obtain a new seat, Disraeli saved him from debtor’s prison by finding him employment with the colonial office. There followed a series of minor governorships—Labuan (off the coast of Borneo), West Africa, the Bahamas, Barbados, Hong Kong and finally Mauritius. By the time of his arrival in the Indian Ocean territory, Hennessy had a controversial track record. He quarrelled with Protestant officials and missionaries and eagerly promoted Irish Catholic ones. Furthermore, Hennessy, who married an Anglo-Malay, held unusual views for his time on race and can be seen as a pioneer of rights for the subject peoples of the Empire. In 1872 Lord Kimberley, the colonial secretary, dismissed his ideas about higher education for West Africans and the establishment of a university there as ‘rubbish’. Nevertheless, Hennessy habitually confronted British planter and mercantile interests by advancing civil and representational rights to indigenous populations. As a result, he gained considerable local popularity wherever he went. Although the second Asante War on the Gold Coast and the Confederation Riots on Barbados were blamed on his policies, he had ended flogging and improved prisoner conditions in all his postings. With Hong Kong left in turmoil and a host of lawsuits narrowly averted, the exasperated colonial office thought to avoid any further disputes by sending the mercurial, self-publicising Irishman to Mauritius, with its large Francophone Catholic population. The new governor, with his outgoing personality and his new ideas, seemed a breath of fresh air to the islanders. ‘II nous semble que l’arrivée à Maurice de Sir John Pope Hennessy doit commencer pour le pays l’ère du bien-être de tous’, was the refrain of one local newspaper welcoming him to what it termed ‘le petite Irlande’. He was expected to be ‘le gouverneur des pauvres’ to oppose the large plantation-owners, which it likened to the Anglo-Irish ascendancy. Having a beautiful Eurasian wife, who had learned French at finishing school in Switzerland and who had converted to Catholicism, helped immensely. Her combination of glamour, devotions and charity work charmed the locals. The second Pope Hennessy son, Hugh, born in 1885, was called by everyone ‘un petit Mauricien’. John and his wife Kitty responded in kind to the evident warmth, renovating Le Réduit, the governor’s residence, holding frequent parties and receptions and generally keeping an open house. For the Mauritians, having a sociable non-English Catholic family at the heart of the colony’s life was a marvellous departure. Sir John naturally favoured the French Creoles, promoting them to government and judicial positions, much to the chagrin of the small clique of established British officials. Furthermore, in pushing this agenda he brushed aside Scarisbrick, the English Catholic bishop of Port Louis, who was considered a British government stooge and was in the habit of appointing loyal English priests over French ones. Whilst the Irish governor appreciated the Mauritians’ steadfastness in the face of half a century of British attempts at Anglicisation and Protestant evangelisation, he was also anxious to improve the lot of the recently arrived Indians, themselves riven by Hindu–Muslim tensions. He passed laws to improve the immigration and work conditions of Indians, whilst at the same time trying to put in place measures to stop the deforestation and environmental damage that their sheer numbers were causing. The big problem arose, though, when it came to their inclusion in the new constitution. The longer-established French colonial population feared being swamped by the new immigrants. At first he tried to flatter them—that their prosperity, education and culture made them a natural aristocracy, whilst claiming contrarily that the franchise could safely be extended to the Asian population because the many Indian workers and the few Chinese merchants were too sensible to be involved in politics. Hennessy’s honeymoon on the island was over. There was great joy when Pope Hennessy announced ‘Mauritius for the Mauritians’ but there was nothing revolutionary about the idea of a new constitution for the island. The overhaul of its system of voting, representation and administration, as in other colonies, was considered long overdue, and of course there were similar reforms under way as regards franchise extension and devolution in the United Kingdom itself. Yet the governor quickly became entangled in island factionalism, as the new system necessarily entailed a scramble for local power. He endorsed the Reform Movement led by self-made men who, like himself, had emerged from the middle classes with a grounding in the law. Its leaders were aiming to push aside the established white haute bourgeoisie, believing that their proposals for a limited franchise and a few select Indians nominated to government were enough to keep the old élite happy. When the Colonial Office opted for a wider franchise, the patrician leaders turned the tables on the Reformers, declaring themselves Democrats and opting to run instead on a populist ticket. The result was a very fraught and raucous election culminating in a Democrat victory. This left the governor’s position, after supporting the losing side, in tatters. Pope Hennessy was isolated, the new constitution seemingly inoperable in the circumstances and the situation being exacerbated by new instructions as a result of government changes in London. Worse was to follow when the Home Rule crisis in Ireland morphed into the stand-off in Mauritius. Hennessy had been lobbying the Colonial Office for some time to have a native appointed chief secretary and lieutenant governor of Mauritius and had nominated and pressed for a man he considered a very able candidate. Instead, London dispatched Clifford Lloyd from a posting in Cairo to be the governor’s right-hand man. The problem was that Lloyd, the grandson of a provost of Trinity College, Dublin, had been sent to Egypt in the first instance because he was one of the most hated men in Ireland. Tasked with suppressing the Land League, he had been the resident magistrate most involved in evicting tenants and arresting activists. Hennessy, the ardent Home Ruler, was never likely to see eye to eye with him and refused to speak to him in public, let alone work with him. With the two officials at loggerheads, the Democrat party made common cause with Lloyd against Hennessy; as a result, the tensions and divisions on the island deepened. Then Lloyd, increasingly incapacitated by malaria, overshot himself, cabling London that the island was in crisis because of the governor’s ‘mental derangement’. 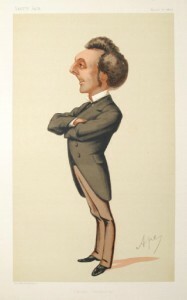 Gladstone’s government, realising that Lloyd should never have been appointed as Hennessy’s assistant, decided to second him to the Seychelles. He never went there and died soon after as British consul in Kurdistan. Hennessy kept the Irish press clippings welcoming his death! Seeing off Lloyd was not, however, the end of his troubles. The Conservative and Unionist government that followed Gladstone’s short-lived administration decided to act on a large petition of complaint drawn up earlier by the Mauritian Democrats, probably with Lloyd’s assistance. It sent Sir Hercules Robinson, the governor of South Africa and another Anglo-Irishman, to investigate. After a lot of stonewalling to frustrate his opponent, Hennessy was finally forced to withdraw from the island. The findings of the royal commission largely exonerated him, however. At this point it was thought that Hennessy would resign as a man vindicated, but he decided to return to Mauritius. This proved a personal triumph. It was six months of parties, during which Hennessy, with his keen interest in botany and biology, introduced tea cultivation to the island and devised a scheme to save its giant turtles. The great Irishmen who governed Mauritius in the nineteenth century, Lowry Cole and Pope Hennessy, could not have been more different. 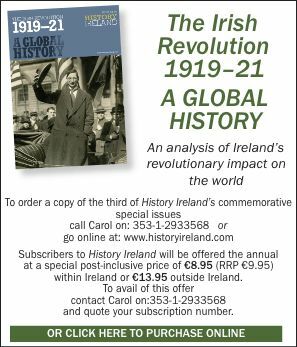 Cole was a tall Anglo-Irish Protestant whose military background made him an appropriate gradualist reformer for the early years; Hennessy, the diminutive university-educated Irish Catholic, was a firebrand who brought a much-needed radical approach to imperial governance. Their contrasting experiences on Mauritius reflected the changing nature of the British Empire and the role of Irishmen within it. The way they have since been commemorated has been very different, too. Lowry Cole’s statue sits on top of a 30m-high monument in Enniskillen. Its inhabitants spent twelve years between 1845 and 1857 saving up for and building the Nelson-style pillar to commemorate his achievements on behalf of the Empire. Pope Hennessy is forgotten in his native Cork. This is almost certainly because on his return from Mauritius he was the anti-Parnellite candidate in the bitterly contested North Kilkenny by-election in 1890. Even though he was the winner by over 1,000 votes, it almost certainly condemned him and his descendants to nationalist oblivion. Pope Hennessy is still remembered in Mauritius, however. In 1908 the citizenry there erected a statue of the Irishman for bringing them their constitution. Hiram Morgan lectures in history at University College Cork. M. Cole & S. Gwynn, Memoirs of Sir Lowry Cole: extracts from his corres-pondence (London, 1934). J.P. Hennessy, Verandah: some episodes in the crown colonies, 1867–1889 (London, 1964). K.S. Hunt, Sir Lowry Cole: a study in colonial administration (Durban, 1974). M.S. Rivière, ‘No man is an island’: the Irish presence in Isle de France/Mauritius (1715–2007) (Port Louis, 2008).